I am Katharine Spence and I own the West Dulwich toy shop, Wigwam, on Rosendale Road SE21. I have three wonderful children, aged 12, 7 and 4. I live in West Dulwich, where I've lived for over 20 years - I'm born and bred in Dulwich. Tell us about your shop and how you came to set it up? Wigwam is an independent, family-run toy shop offering a selection of wonderful toys, games, gifts and clothing for children and babies. Our range of toys includes wooden toys, soft cuddly toys, arts & crafts, games and puzzles. 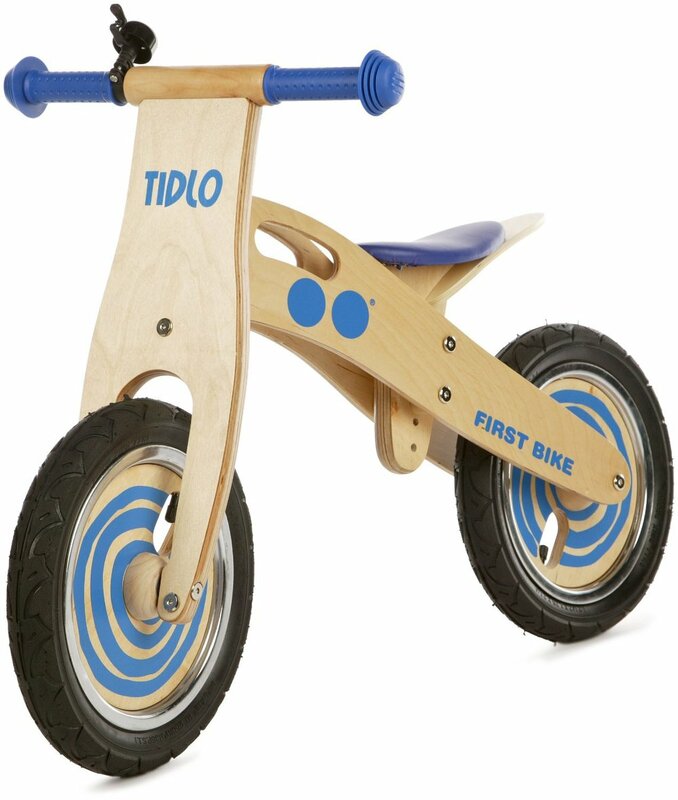 We also stock micro scooters, balance bikes and helmets. opened the Wigwam toy shop two years ago, in June 2013. It had been a childhood dream to run a toy shop. I used to love playing shops when I was child. Watching my children grow up over the past 12 years, I feel I've been surrounded by every sort of toy imaginable, so I hope to pass some of this knowledge and my love of toys on to other mums. I also love being part of the local community. I've got some great neighbours on Rosendale Road and I've got to know even more local mums since I opened, which has been great. As well as toys, I also stock baby & children's clothes and gifts, some of which are made by local mums. I'm keen to support local, creative mums, so I'm glad to be surrounded by such a great community. How do you balance running a business with motherhood? Juggle, juggle, juggle! There is never enough time in the day is there! I will admit I feel lucky that I work locally to where I live. My daughter goes to the nursery 20 yards from my shop, whilst my older children go to two local schools, so I am never too far away and I get to do school drop off and be involved with their school life as much as I can. I also have an amazing support network, which includes my husband, mother, sister and friends who help with childcare demands and the endless taxiing of my children to clubs and dance lessons. My other tip is to get the children to help. My older daughter loves to cook and there are rewards for those who help empty the dishwasher and put their clothes away! I even got my toddler helping as soon as she could walk! What do you love about SE London and particularly being a mother here in SE London? I love living in West Dulwich. We are very lucky to have such great schools, beautiful local parks, such as Belair Park and Dulwich Park, as well as amazing attractions like the Dulwich Picture Gallery and the Horniman Museum. I've got a yearly pass to the Horniman Museum, so we get to enjoy all the displays and exhibitions, and I love the gardens for a picnic in the summer. More locally, a favourite walk of mine is through Belair Park (with a quick stop in the playground) to the Dulwich Picture Gallery gardens. Can you share a secret tip to other mothers in this area? A secret tip of mine is to visit the Dulwich & Sydenham Woods, especially if you have school age children. I used to love going as a child - it is a great space. Chase the fairies, jump amongst the autumn leaves and follow the brambles! Katharine is kindly offering mamas 10% discount on purchases until the end of June if you quote 'The Mamahood'. Find Wigwam at 109 Rosendale Road SE21 8EZ or via Twitter / Facebook or on 020 8676 4815.